Proverb 30 verses 32 and 33. Ready to clap his hand over his mouth! Twisting and churning, well shaking milk. And meet the trouble and strife. Can't seem to get the film to upload at the moment but will try later as my simple pull string mechanism works and has many possibilities. Well a sort of house and he hasn't moved in yet. I am thinking that I will make this series of automata in the style of the comic strip and need to work out a way of getting a lot of movement without adding bulky mechanisms between each layer of action. This is my test piece. 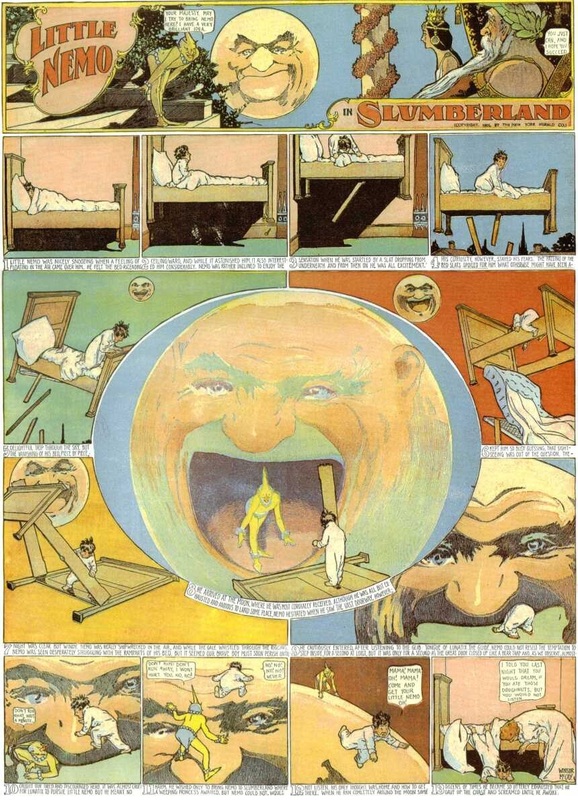 I have been looking at Windsor Mccay's, Little Nemo in Slumberland, cartoons on a fantastic website, Comic Strip Library. I can decide which I like better Krazy Kat or Nemo, both are so inspiring! Anyway Mr Punch will hopefully take up residence tomorrow and I can see if my simple mechanism works. I have started a new range of automata based on the biblical Book of Proverbs with Mr Punch as The Fool. Here are the first three characters ready to act out the first proverb that I am attempting to illustrate. A Punch that will slap his hand over his mouth. Sorry the photo and the film are a bit poor quality. But it works! The whole thing is 24 inches by 24 so my largest one yet. Here is the mechanism before it was fixed together and strung.